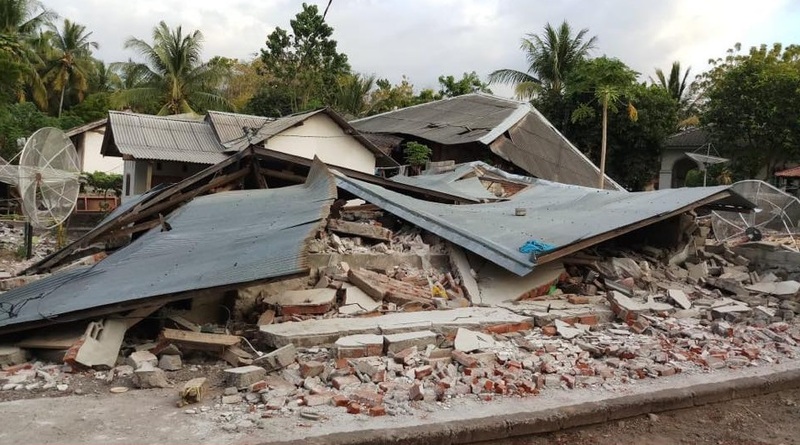 This is the third large earthquake to strike Lombok in the past month. On 29 July, a 6.4-magnitude quake killed 17 people and briefly stranded hundreds of trekkers on the slopes of the Mount Rinjani volcano. 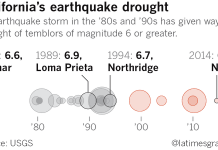 This geological event was followed by a M6.9 earthquake disaster last Sunday, which killed over 300 people. The latest magnitude 6.2 quake hit this morning, August 9, 2018, causing additional damage and building collapses as search goes on after Sunday’s cataclysm. 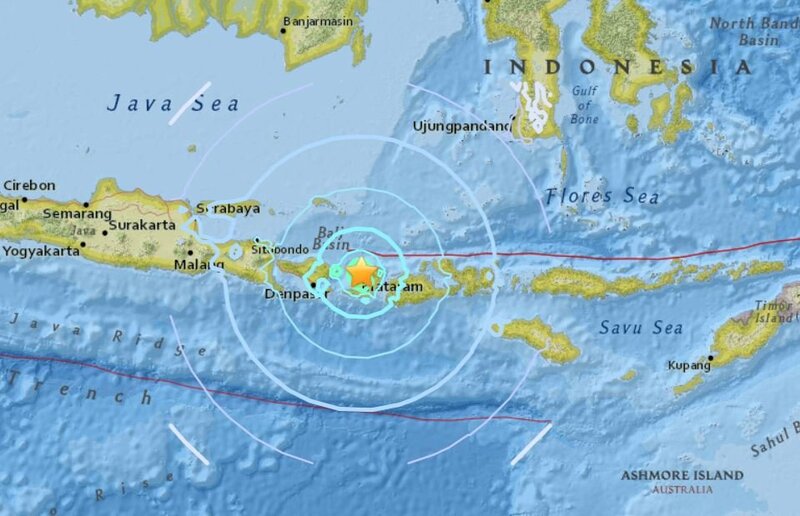 An earthquake with a magnitude of 6.2 has hit Indonesia’s Lombok island, less than a week after a 6.9-magnitude tremor that is believed to have killed hundreds of people. Today’s earthquake killed at least 2 people, 24 people were injured and many buildings were destroyed. Thursday’s earthquake struck just after midday, sending panicked residents into the streets. 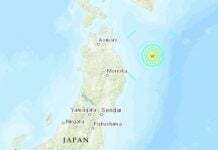 According to information from Indonesia’s meteorology agency the epicentre of the quake was 6km north-west of the island with a depth of 12km. 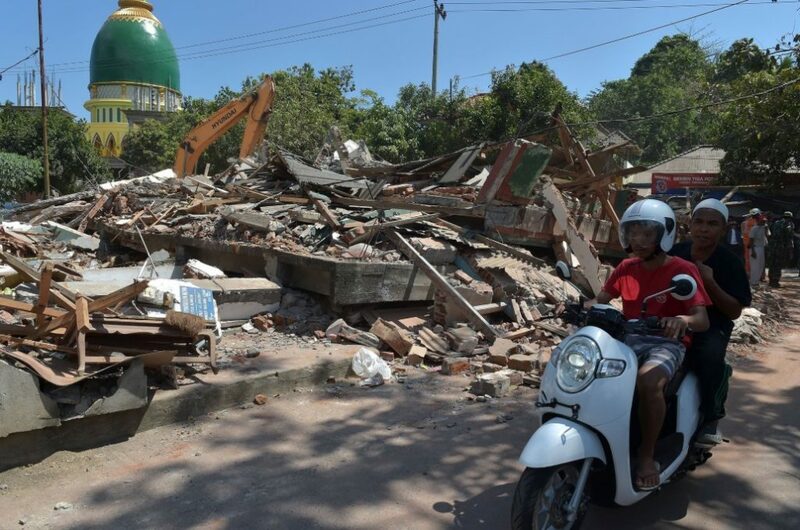 Residents in the city of Mataram and north Lombok, the areas hardest hit this past week, panicked after Thursday’s strong tremor, pouring out of their homes and evacuation posts. 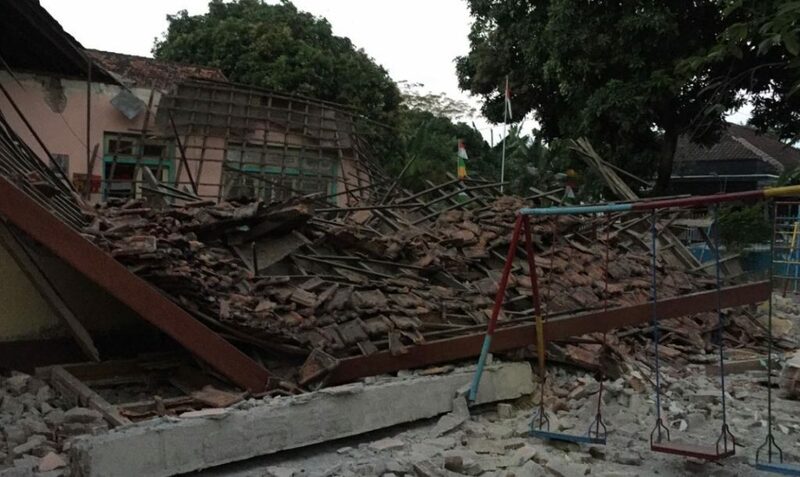 “There was one person who fell from the stairs because the tremor shook the stairs when they tried to get out of the building,” Rangga, one local resident in central Lombok, told CNN Indonesia. 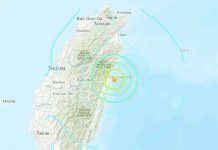 Thursday’s was the biggest of 355 aftershocks since the 6.9-magnitude quake last Sunday which displaced more than 154,000 people, many of whom have been sleeping in makeshift tents by the roadside and in their fields. Thursday’s quake has caused additional damage, with some buildings and power lines collapsed. But the full extent of the accumulative damage caused by the Thursday quake was not immediately known. 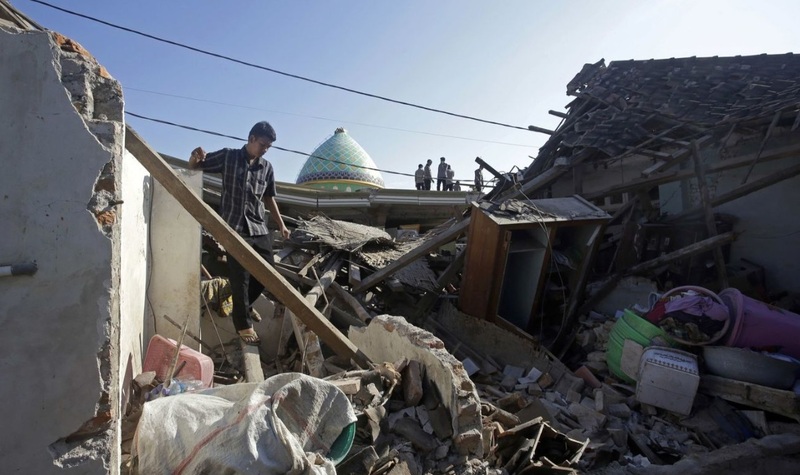 Indonesia’s disaster and rescue agencies, as well as local officials and the military, which have been coordinating on relief efforts, were still trying to work out the exact death toll caused by Sunday’s powerful earthquake. Rescuers were continuing to retrieve bodies and attempting to get basic supplies such as food and water to the worst-hit areas. Data from the national army has indicated that as many as 381 have died, while the governor of West Nusa Tenggara put the figure at 226, a number echoed by those from the search and rescue agency. The national disaster agency has reported 259 deaths so far. 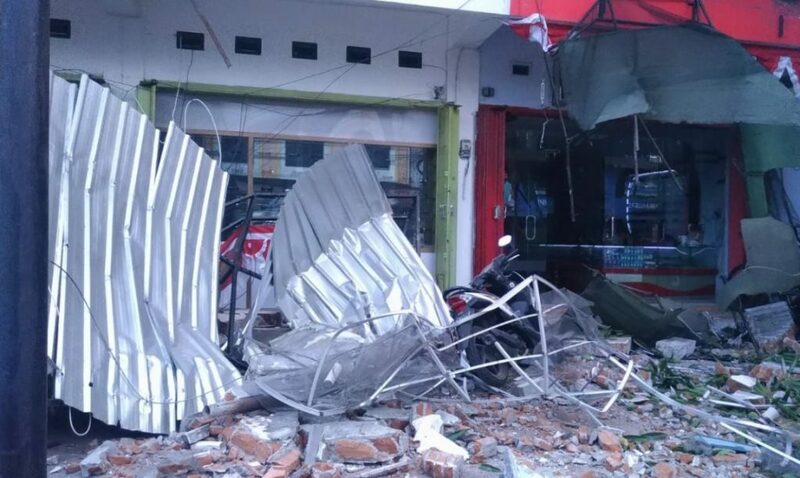 Indonesia’s top security minister, Wiranto, said on Thursday the death toll from last Sunday’s earthquake on the island of Lombok has climbed to 319. 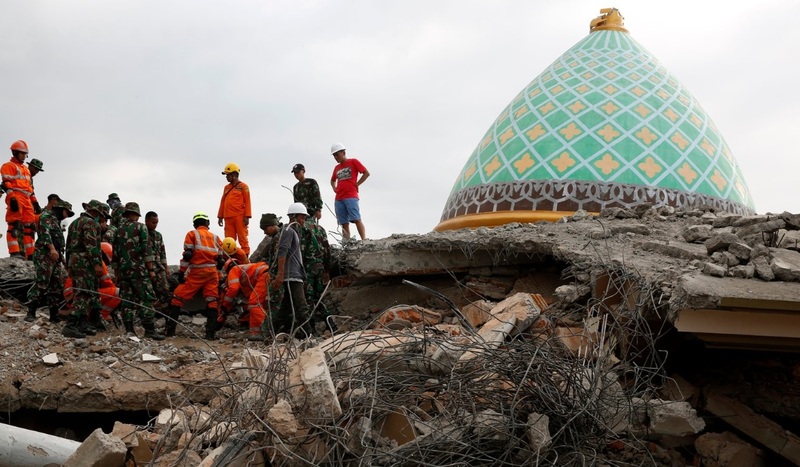 The disaster agency spokesperson said it was not uncommon for confusion about exact death tolls to arise during emergency and crisis situations, as has occurred in previous natural disasters such as an earthquake in Padang in 2009 and the eruption of Mount Merapi in 2010. Straddling an area of high volcanic activity known as the “Ring of Fire”, Indonesia is highly prone to earthquakes.